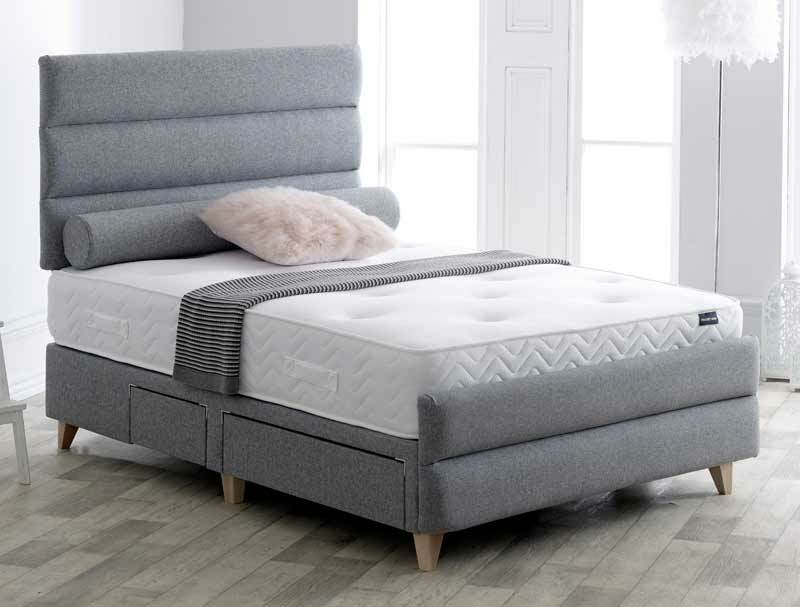 The Bancroft Fabric bedstead is new from Vogue and offers a divan style bed base on natural colour tapered wooden feet that is available in 14 colourways. The Bancroft bedstead is made by Vogue beds in the United Kingdom, so can be delivered to your room of choice in 7-10 days and will need very little assembly. You can have a non drawer or 2 drawer single or 2+2 continental drawer or 4 standard drawers on small double, double, and king size. The Bancroft comes with a three horizontal panel headboard and two horizontal panel footboard. 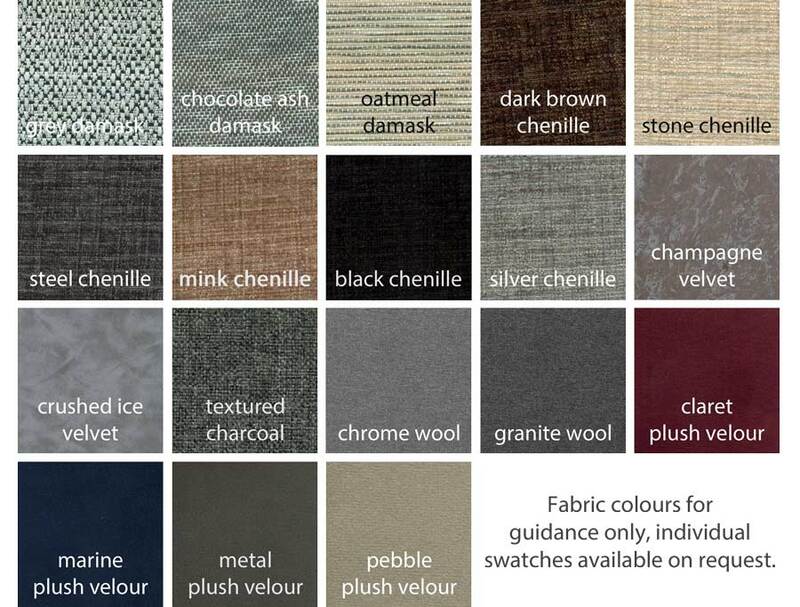 There are 18 different fabrics to choose from and there are other bedstead designs to choose from with Novaro, Dormire, Wesley, Camden, Burton, Dunkirk, and Masquerade all available.